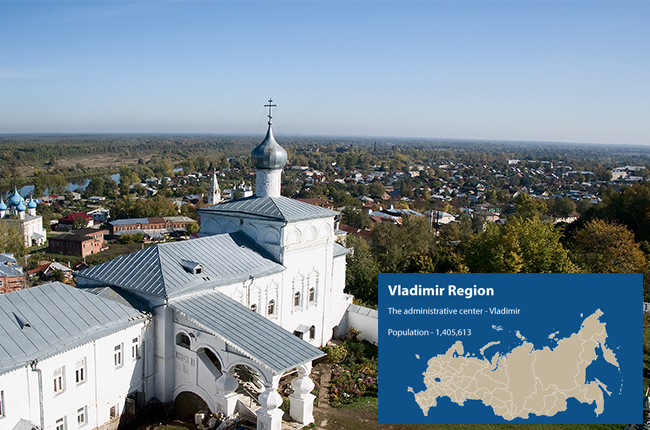 "Vladimir Region’s main advantage is the openness of the authorities. The rules of the game are the same for everyone, and we don’t change them. The specially created “Corporation Development” does a great deal of work", said Svetlana Orlova, Governor of the Vladimir region. Vladimir Region actively invites foreign investors in agriculture and machine tools. A successful example of the latter is the machine-tool construction center in the town of Kovrov, set up jointly with Japanese company TAKISAWA. Another area open to investment is information services. The region is implementing a special project called “Private City,” and a site has been built where professionals can live and work. Moreover, the region already has a number of major foreign players: Yandex, Siemens and US confectionery producer Mondelez. Nestle and Danone are planning to expand their operations.